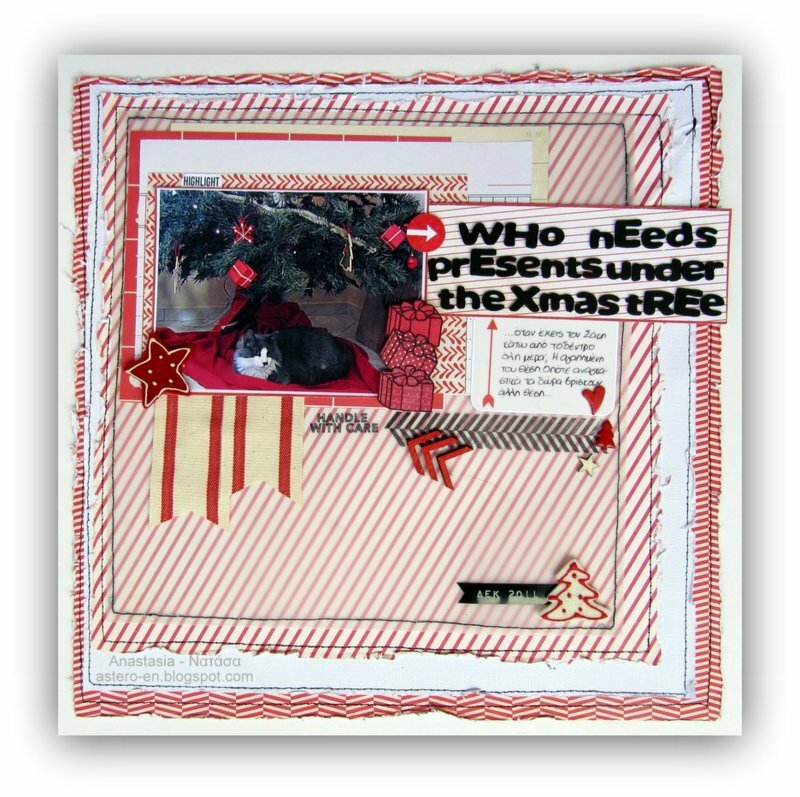 Astero's Crafty World: White with 1 - December Guest Designer! I don't know if you saw my layout Twinkle Twinkle Little Star that I did in October for White with 1? I was soooo happy when it got honourable mention... and thanks to that, I am Guest Designer for December! I have to admit it wasn't easy to make this layout... and that's because I realised that I don't have any Christmas photos!!! Only some photos of Sakis sleeping below the Christmas tree, he spends all day there and as a result I cannot leave my presents there. And because the photo is quite dark, it was a bit difficult to print it and to make the layout. But at the end I managed to do something with which I was satisfied. The beautiful felt embellishments, i.e. the red star and the white tree is from the very generous present I received from Chrysa for winning the October inspiration challenge (yes, October was a good month for me!) - thank you Chrysa!!! 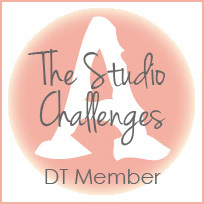 White with 1 is one of my favourite challenge blogs and I love participating in their challenges when my time and inspiration allow me to... There is also a new design team that starts its term with this challenge. 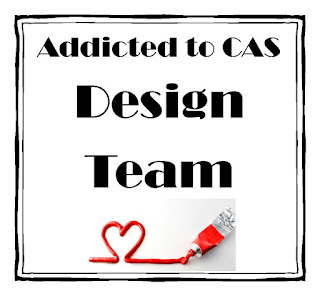 I highly recommend a visit over their blog for inspiration by the design team and to play along with us!